Spending a week on the mega yacht, the Harmony V, this Greek Island Cruise gives you a wonderful blend of antiquities, sun, fun and relaxation. The boat, a 183 foot mega cruiser provides the very best of luxury cruising, from its well appointed cabins which are all fully air conditioned. 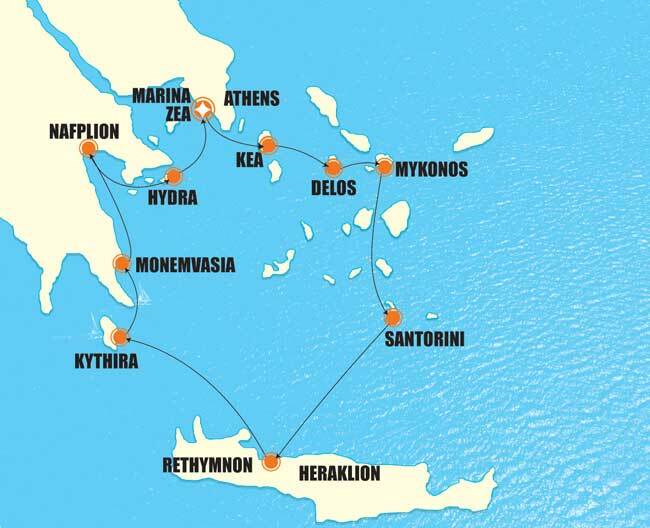 On this seven night, eight day Greek Island cruising package you will see the very best of the Cyclades, Peloponnese and Saronic Islands, taking in many of the major marvels of the Ancient and Classical world including Santorini, the wonders of Mycenae, Knossos on Crete and the magical island of Delos. You will embark the boat at Marina Zea, a port in the South of Athens where you will board the Harmony V. Embarkation is between two and three p.m., where you will be met by the crew and shown to your cabin. This is the chance for you to meet your other ship mates and start to relax into your week on board the ship. On leaving the port you will pass Cape Sounion, the most Southern tip of the mainland and the majestic Temple of Poseidon. You will then sail to the island of Kea, docking in the small port. After dinner you will have the chance to explore the lovely town of Korrisia after dinner on board the boat. Late in the evening, on returning to the boat, you will spend the night on board as the boat makes its way over the Aegean to the amazing island of Delos. Waking on board the boat, you will find yourself in a completely different part of the Cyclades Islands and the peace of an uninhabited island. This morning has an optional excursion to visit the remarkable experience of the archaeological site of Delos. This island is the former capital of the Cyclades Islands, which has been deserted for a millennium. Delos is one of the best preserved archaeological sites in Greece, known for its architecture, art and modern life in ancient times. It is also the birthplace of the Gods Artemis and Apollo. After mooring at Delos allowing for those who desire to take the excursion, you will be taken over to the port of Tourlos on Mykonos Island, stopping on the way at one of Mykonos's quieter bays for a swim. This island is totally different to Kea - cosmopolitan, full of shops, boutiques, restaurants and clubs and home to the rich, famous and infamous. Your evening is free to make the most of Mykonos, dancing, eating, drinking and enjoying this towns amazing vibe. Return to the boat at your leisure as it will dock in Mykonos overnight. 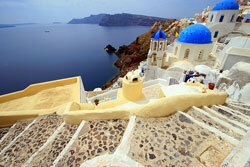 Leaving early in the morning you will cruise to the amazing island of Santorini. 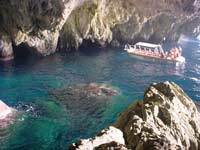 Entering the caldera, sailing between the cliffs that rise high into the sky, you will understand why so many rave about this island. It truly is one of the most beautiful places on earth. Mooring in Fira, you will witness the stunning natural beauty of Nea Kameni, the active volcano that resides in the middle of the Caldera. 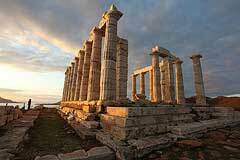 You can also take an optional tour onto the island to see around this majestic jewel of the Cyclades. The tour takes in some of the archaeological sites on the island as well as visiting some of the cliff side villages that have the unique views of the Aegean. Returning to the boat later in the day, you will make your way to the southern island of Crete overnight. The boat will arrive at the city of Rethymno in the morning of your fourth day on board. This is a lively port, filled with shops, restaurants and bars as well as small winding streets, there for the exploration. Use your time to witness the wonderful vibe of this island. There is also an optional excursion available to visit the nearby site of Knossos, one of the oldest ancient cities in the Greek world. This gem of the Minoan world is a must for all history and art lovers and the tour makes for a very worthwhile afternoon. Returning to the boat later in the evening, it will depart late in the evening and sail overnight to the island of Kythira. After three days of activity, the morning of the fifth day has you waking at sea. Enjoy the relaxation of having nowhere to go and nothing to do other than relax. Late in the morning there will be a swim stop at a smaller island on the way to the day's destination of Kythira, found at the bottom of the Peloponnese. This relatively unknown island is fast becoming popular with modern tourists, with its charming main town and relative peace compared to other islands. Enjoy your time in this quiet, peaceful place before returning to the boat where you will stay moored in Kythira for the night. Early in the morning the boat will sail to Monemvassia in the Peloponnese. This is another historical gem, the medieval fortified town is there for you to explore over the morning. 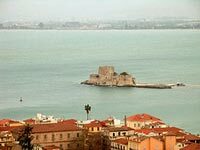 This town is very different to the other places you have been on this tour, with its Byzantine and Venetian influences set into the stunning natural beauty of the area. After taking in this wonderful town, you will go back to the boat for the sailing to Napflion in the north of the Peloponnese. Here you will discover this ancient town and its winding streets and charming old quarter and its impressive bourzi in the centre of the port. This town is for wandering, relaxing and enjoying the very best of the Peloponnese. Return to the boat in the evening, where you will spend the night docked in the harbour. Your day can start with an optional tour of Ancient Mycenae, a short distance away from Napflion and a very different perspective on Greek History and architecture. The tour takes in the home of Agamemnon, the King who's story Homer tells in the Iliad. Returning to the boat early in the afternoon, you will sail to one of the Saronic Islands close to Athens, either the island of Spetses or Hydra. These islands are unique in their laid back charm. Hydra, in particular, is amazing in that there are next to no motorised vehicles on the island and all transport is on foot or by donkey. Use this last night of your tour to enjoy the time wandering these picturesque places. This is also your last chance to enjoy the company of your ship mates and celebrate your vacation with a final meal together. The boat will leave in the early hours for Marina Zea via Pireaus. On arrival at Marina Zea you will disembark the boat. Please speak to us about arranging transfers to your next destination whether that be a hotel in Athens or back to the airport for your flight home.